Historic Snowdown items at the Durango Welcome Center are part of an auction to benefit Snowdown founder Terry Fiedler. 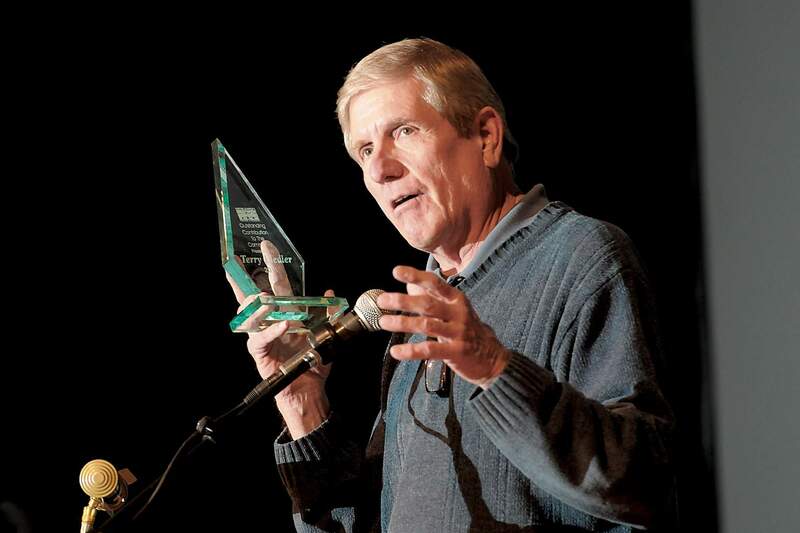 Terry Fiedler stands at the podium to accept the Outstanding Contribution to the Community award during the 2012 “Durango Rocks” ceremony at the Fort Lewis College Community Concert Hall. Snowdown memorabilia from year’s past will be auctioned off through Feb. 4 to support Alzheimer’s treatment for “Mr. Snowdown,” Terry Fiedler. Auction items will be displayed Friday in the south window of the Durango Welcome Center, 802 Main Ave.
Bidding will open at 10 a.m. Monday and close the last day of the festival, at 2 p.m. Feb. 4. 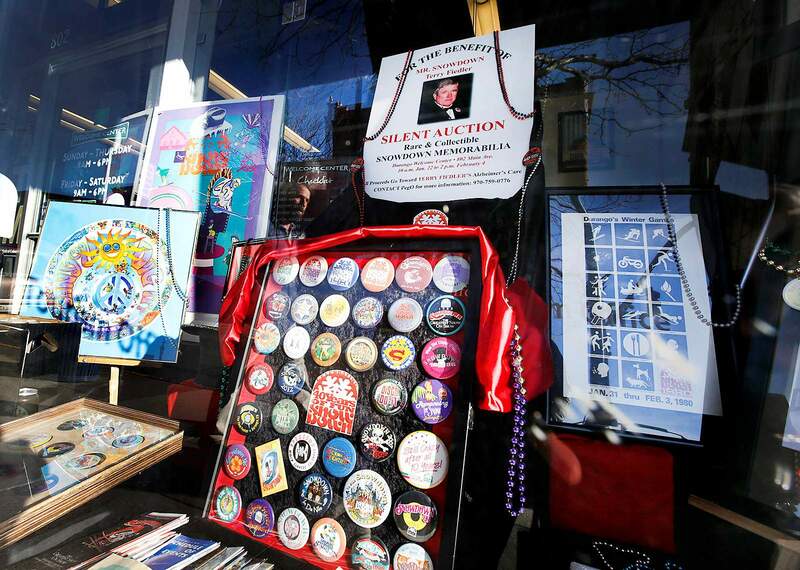 Some of the rare, collectible heirlooms include a collection of all 40 years of Snowdown buttons; original framed posters from 1980, 1981 and 1982; 25 years of the satirical Snowdown Sneer newspaper; and an official reproduction of the 1979 Snowdown poster – which was the first year of the festival. Fiedler suffers from Alzheimer’s disease and lives in a nursing home outside Philadelphia. The theme “It’s a Black Tie Affair” pays homage to Fiedler, who is one of the founders of Snowdown and started the black-tie Follies Gala in 1989. He is known in the Durango community as Mr. Snowdown, and this year’s winter festival intends to strengthen that legacy.